Polish Foreign Minister Witold Waszczykowski does not agree with the suggestion that "nationalistic tendencies" are intensifying in western Ukraine, he has told a Russian publication Kommersant, answering a reporter's corresponding question. "I do not agree. One of my deputies visited Lviv a few days ago. And we have no information about growing nationalism in Ukraine. The conflict, of course, triggers anti-Russian moods across Ukraine, but we do not see the growth of nationalism, including anti-Polish one," he said. Waszczykowski also noted that Ukraine "unconsciously tries to formulate, find its historical identity, to lay the foundation for patriotism." "But our advice is: do not build a historical identity on a persona of Shukhevych, for example. This could affect Ukraine’s pro-European aspirations," the Polish foreign minister said. He said that in the joint history of Poland and Ukraine there were also figures who have done a lot of good. 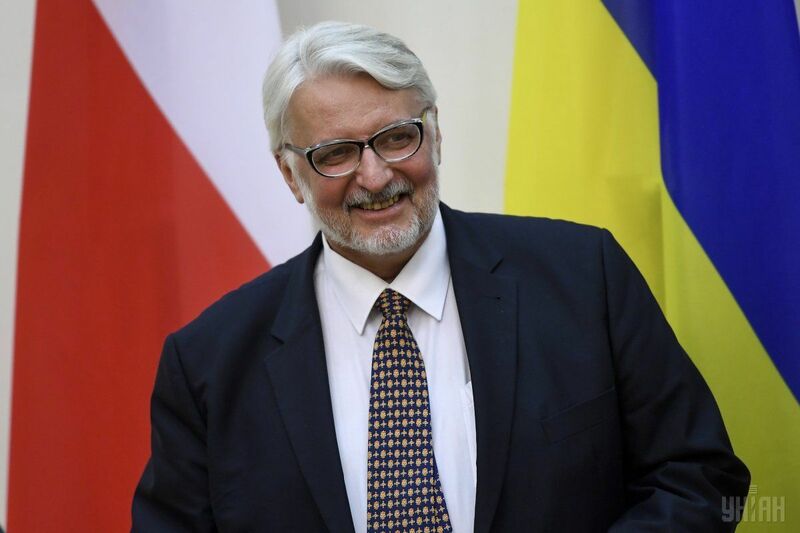 Commenting on his statement that "Ukraine will not enter the EU with Bandera," Waszczykowski noted that he was still looking forward to the chance to resume this discussion with Ukraine. Read alsoPolish FM called out by Ukraine over historical comment – Radio Poland"I am still looking forward to the opportunity to resume this debate with the Ukrainians. After all, we have the experience of reconciliation with the Germans. We are waiting for a response from Ukraine. At the same time, I can say that for the Poles, although they are aware of this problem, it is not a key one. We won’t forget about the Volyn massacre, we know that the UPA is being glorified, but that does not mean that we will forget how the independent and sovereign Ukraine is important for security in our part of Europe. We are still ready to cooperate with and support Ukraine," the Polish foreign minister said. Read alsoAnother citizen of Poland to head state-run company in UkraineAs UNIAN reported earlier, Witold Waszczykowski stated that Ukraine would not be able to enter Europe until the historical issues and issues of the status of Polish minorities had been resolved. It should be noted that Waszczykowski essentially repeated the words of the chairman of the ruling party of Poland, "Law and Justice," Jaroslaw Kaczynski, who believes that the glorification of the name of Stepan Bandera in Ukraine could hinder with Ukraine's European aspirations.